Rosemary vitality essential oil supports healthy lifestyle* when used as dietary supplement. Add 2 drops in a capsule and take internally when needed. One of my favorite professionally made blends that contains this oil is Thieves Vitality blend. This oil is part of the new Vitality Dietary Essential Oil Collection which includes over 25 oils for dietary use, cooking and more! Check them out because you will want to have them all! Vitalize all your recipes, sauces, soups, salads and dressings with this wonderful oil! This section is a fun and easy reference guide for Rosemary Vitality Oil. It will tell you how to use it and what to use it for. It will also provide you with some fun suggestions, safety precautions for you and your pet! Want to Purchase Therapeutic Rosemary Vitality Essential Oil? Buy Rosemary Vitality Essential Oil Here! Why is this information important? There are several different chemotypes of Rosemary. A chemotype (CT) is a designation that tells you that the species has different chemical constituents. This usually occurs because the plant is grown in a different area under a distinct climate that alters the chemistry. This is extremely important information. Remember, even though they may share some similar properties they are not at all the same. And may support the body and mind differently. Rosemary Chemotypes - See Rosemary Essential Oil Page for this info. Where is the name derived from? Rosemary comes from a latin word "ros marinus" meaning "rose or dew of the sea". Did you know that Rosemary is contained in Hildegard’s Herbal Book? Hildegard of Bingen (1098-1179) was known as the first herbalist and naturopath of the middle ages. Her book documented her work. What are the Plant Properties? Uplifting and stimulating. 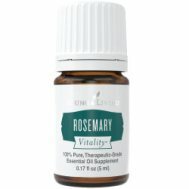 What are the Documented Uses for Rosemary Vitality? Supports overall wellness and healthy lifestyle*. 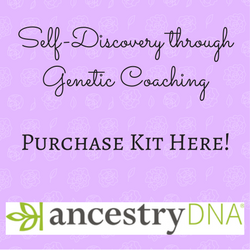 Want to Learn about Rosemary's Emotional, Spiritual and Other Uses? Then go to Benefits of Rosmary Essential Oil Page! Place in favorite baking or cookie recipe. Can this Oil be used for Pets? Yes. Always start slow. With a small dog or cat use a toothpick amount to start. (Dip toothpick in bottle to get that amount). Use Thieves Vitality to support healthy immune system! Note about Animal Use: Certain oils can be very toxic to cats. Citrus products and oils in particular. Please consult your vet if you are not sure about applying any essential oil to your pet. What are the Safety Precautions? First, only use therapeutic grade essential oils! Rosemary essential oil is Generally Regarded As Safe (GRAS). However, those with high blood pressure or prone to seizures should avoid using this oil. Additionally, children under 4, pregnant women or women who are breast feeding should NOT use this oil. Did you know that Rosemary was thought to protect against witchcraft and spells? Did you know that Rosemary was one of the ingredients found in “Four Thieves Vinegar” or “Marseilles Vinegar”? Add rosemary vitality with lemon vitality and thyme vitality to create an awesome marinade!